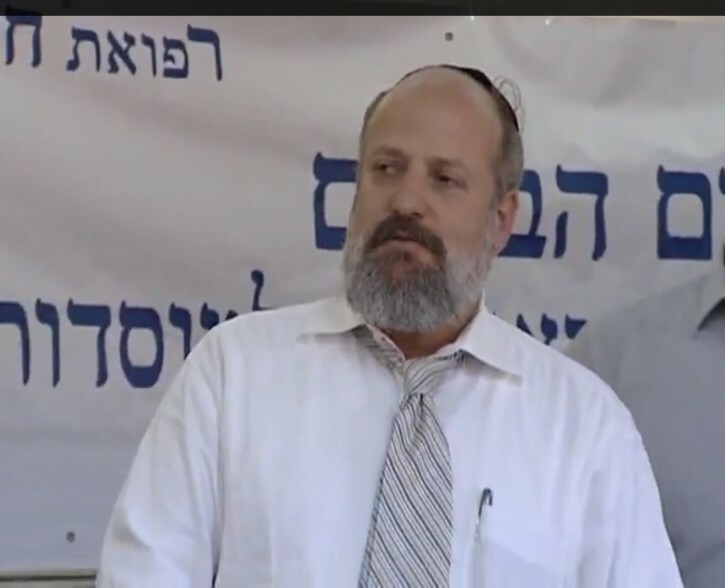 A Brooklyn Supreme Court judge ordered Midwood Rabbi Yaakov Weingarten and his wife, Rivka, to pay more than $520,000 for setting up phony not-for-profit organizations claiming to benefit Israel and then using the donations as their personal piggy bank. The Weingartens were busted last summer, accused of operating a call center out of 1493 Coney Island Avenue in Midwood to raise millions of dollars through 19 separate charities. The scammers claimed the funds would go to programs in Israel or to religious activities. But prosecutors say the charities never existed, and the funds instead went to Weingarten and his family. Weingarten, 53, withdrew more than $2 million from the charity bank accounts between 2007 and 2013, prosecutors said. They used the funds to pay for mortgages on their two homes, remodeiling expenses, personal vehicles, video rentals, dental visits and even a trip to Borgata Casino in Atlantic City. They attempted to hide their shenanigans by transferring funds between the non-profit accounts. It appears the setup was too difficult for even the Weingartens to keep track of; they bounced more than 2,100 checks, resulting in more than $65,000 in donations being wasted on bank overdraft fees. On Wednesday, the judge ordered the Weingartens to forfeit $522,315 as part of a civil judgement. Approximately $360,000 of those funds will go to two Israeli charitable organizations that carry out actual programs similar to the ones Weingarten claimed during his phony fundraising pitches to donors: the Schneider Children’s Medical Center of Israel, the preeminent pediatric hospital in Israel, and United Hatzalah of Israel, a leading Israeli volunteer emergency medical services organization. Weingarten previously pleaded guilty to felony tax fraud, allowing him to escape time behind bars. However, he and his associates, Simon Weiss and David Yifat, are barred from any fundraising or charitable activites in the state of New York. He also faces five years probation, and has already paid $90,685 in restitution as part of the criminal charges. Stole $2 million and paid back $90,000. Let’s see if he escapes jail again. Bet he does. These Russians and Religous Jews are making all the rest of us South Brooklynites look bad. You should read the rest. He’s avoiding jail time and paying back 520K in addition to the 90. Speak for yourself. I look great! Ned, I did not send this email. somebody has stolen my user name. Please delete. I’m willing to bet that after a period of time he’s back “in business” but with a new name and new partners fronting the operation. The way I read it, he avoided jail time the last time he was arrested. Doesn’t mention if there will or won’t be jail time this time. Even if he pays back 520K and steals $2 million, he still profits. Crime does pay. Way to represent the Tribe, “Rabbi” Yaakov Weingarten. You should have your ordination revoked. Feh.